Currently on the front page of vidrioh! is an article on the Bell-Table, a table with a glass base by German designer Sebastian Herkner. In a country well-known for its painters, a small online magazine called vidrioh! is spreading the word about a growing community of glass artists in Spain, while keeping an eye on up and coming artists and designers all over the continent. 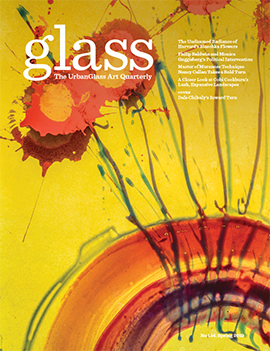 The magazine’s playful name comes from vidrio, the Spanish word for glass. It combines beautiful photos with articles on art and design, covering a range of interesting artists that are for the large part unknown outside of Spain and Europe. 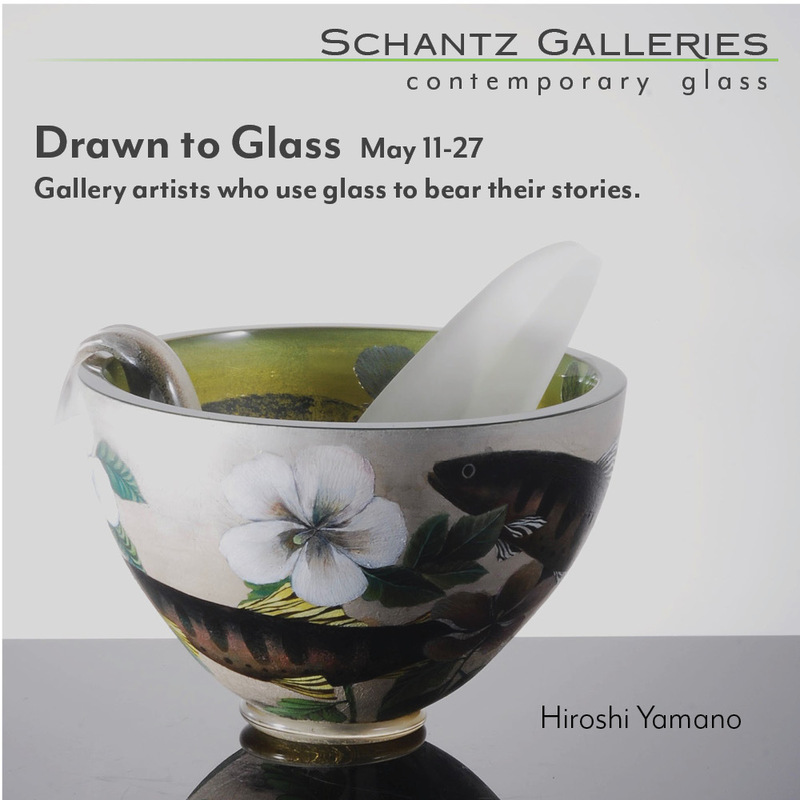 Readers can move from articles about jewelry made with silver and borosilicate glass tubing and a series of essays exploring the connection between glass and elements of nature to others on a recent award-winning artist or a duo’s application of grisaille and stained glass techniques to create words within glass sculptures. Even with a language barrier, vidrioh! provides valuable insight into the work of artists with little to no exposure in the American glass scene. Rosa Méndez has been nominated for a national prize in Spain for her work in glass. courtesy: vidrioh! vidrioh!‘s interview with Méndez helps shed light on Spain’s small glass community. She creates a mix of a mix of colorful and futuristic glass jewelry pieces in Galicia, a historically isolated region in northwest Spain. A finalist in Spain’s national prizes in craftsmanship, she reflected on the almost complete anonymity of the glass world in Galicia and Spain as a whole. Although they don’t update vidrioh! daily, the publication has a dedicated group of writers that includes MarÍa Luisa MartÍnez, the director of the Museo de Arte en Vidrio de Alcorcón, and Argentine blogger MarÍa Eugenia Diaz de Vivar, who maintains Objetos con Vidrio, where she profiles artists and includes information on upcoming exhibitions, workshops, and conferences. vidrioh! is part of la luz viva, a project funded by the Fundació Centre del Vidre de Barcelona that aims to create an online community of glass artists. You can subscribe to the publication at the bottom of their front page.